Finn is a bored young leprechaun. He lives with his mum and dad in a small village named Duntappin, and goes to the local school there. He spends most of his free time with his best friend Dallan, but craves some excitement in his life. Unfortunately, Finn missed out on being blessed by the Good Luck Fairy and soon gets far more than he bargained for. He finds himself a long way from home in the hands of a travelling circus where he is little more than a ‘freak’ to amuse the customers. I was lucky enough to get to get an advanced reader copy of this story. Lynne knows I have grandchildren who have loved her past novels, such as Caution: Witch in Progress, and Zac’s Destiny. I may be an adult, (an adult plus some) but I’m still a child at heart. Who wouldn’t enjoy a story about an unlucky leprechaun? Finn is a young Leprechaun with an adventurous heart. He wants to find a way out of their boring little village and see what the big world is like. Only it’s not such a safe place for an unlucky leprechaun like himself. He gets into a big jam when he finds himself captured and put on exhibition for a traveling show. But can he find a way to escape and get back home again? Back home, his best friend is lonely and scared for Finn. He demands to be taken along when Finn’s father decides to go out searching. There are a lot of lessons to be learned here for our own children, because let’s face it, they all tend to reach an age where they get bored and think there is more excitement to be found outside their safe homes. Finn gets out of one jam only to find himself right back in another. And on the other side, his friends and family run into their own problems while trying to find and rescue him. I can’t imagine any child (or big child) who won’t enjoy this wonderful tale. Lynne North is a children’s author who lives in the north west of England, where she works as a data analyst for one of the local Health Authorities. A lifelong reader, she has written several award-winning children’s novels and magazine articles. 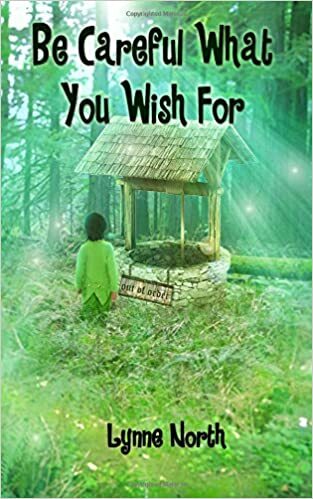 Her novel “Be Careful What you Wish For” was released on St. Patrick’s Day 2016. Posted by Denna Holm on July 5, 2016 in Archives and tagged childrens fiction, Crimson Cloak Publishing, fantasy, legends, leprechaun, lucky, unlucky.